As the Twins dominated the Royals Tuesday afternoon, Tyler Duffey entered the game in the sixth inning after a Mike Moustakas single knocked Hector Santiago out of the game. Duffey proceeded to record three straight outs in his one inning of work. Duffey doesn't feature overpowering stuff as a reliever. 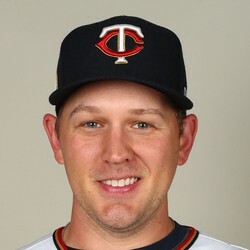 However, he could see an elevated role in the Twins bullpen if his stuff plays up in shorter outings. After a disappointing 2016, Duffey could find his niche in relief for Minnesota and is worth loosely monitoring if he begins working later in games.